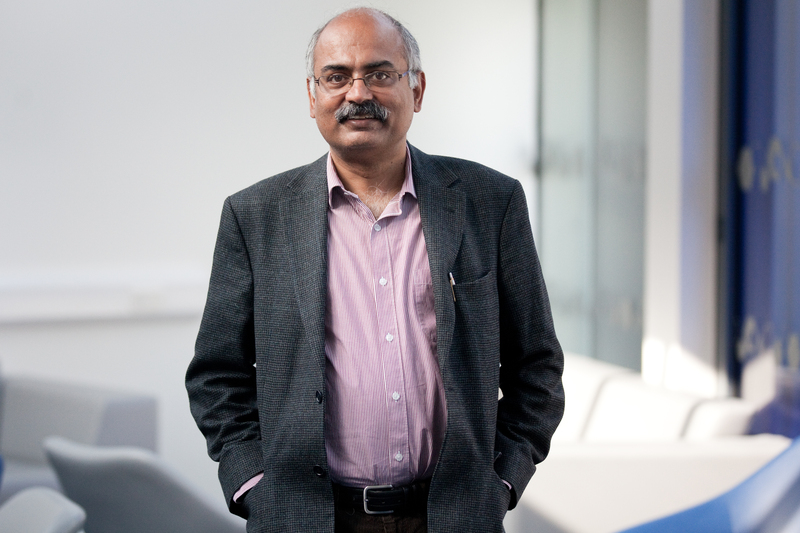 In March, Professors from the University of Sheffield (Sumon Bhaumik (pictured above), Heather Campbell and Philip McCann) sat around the table with peers from Aston (David Bailey) and Warwick (Nigel Driffield) Business School to discuss post-Brexit industrial and regional policy. They were joined by representatives from regional bodies, trade bodies, and the private sector including representatives of Oxford Economics, Performance Engineered Solutions Ltd, Sheffield City Region, South and East Yorkshire Federation of Small Businesses, South Yorkshire International Trade Centre, The Company of Cutlers in Hallamshire, and West Yorkshire Combined Authority. The view about the likely impact of Brexit on trade, investment and corporate performance was mixed. The private sector view emphasized the positive economic news in the immediate aftermath of the referendum, and the ability of the private sector companies to strategize better for Brexit, which is expected at this stage, than for the financial crisis of 2008, which was unexpected. There was general consensus that the significant depreciation of the pound sterling could spur exports and firm performance, at least in the short term. The impact of Brexit on onshoring was also viewed as a potential opportunity, especially for SMEs. There was some optimism about UK’s ability to strike trade deals relatively quickly with countries from the Middle East and Latin America. This optimism was tempered by the uncertainty about the new trade deal between the UK and the EU. In particular, there was concern among some workshop participants about the impact of the loss of single market access to the organisation of supply chains, and the implications of imposition of tariffs on industries such as automobiles whose components crossed UK’s international borders a number of times before they are used in the final product. The discussion, however, suggested that divergence between EU and UK regulations, especially about rules of origin and product standards, could pose a greater challenge to businesses than tariff barriers. The difficulties of contract enforcement in an environment of diverging regulations was also highlighted, and there was some concern about the general impact of Brexit on bureaucracy about all matters related to cross-border transactions. It was also felt that while any dip in the UK’s ability to attract FDI in the short run would recover, it might not recover to the pre-Brexit trend. There was general consensus around the table that if the Brexit deal restricts free movement of labour, skill shortage – indeed labour shortage for some sectors such as agriculture and hospitality – might prove to be the biggest challenge facing UK businesses, in particular, those in the Midlands and Northern England. It was argued that, to begin with, there should be closer cooperation between the universities and the private sector to ensure that the labour force of the future not only has high levels of skills but can also adapt quickly to the rapid changes in technology that are manifested through increased use of AI and robotics. The panel was also mindful of the need to shape labour market policies in a way that facilitates inclusive growth in the future, such that post-Brexit policies and private sector performance have the necessary democratic legitimacy. Further, some on the panel felt that policies regarding skill development should be devolved to the regions that have greater understanding of the skill requirements of the local companies. Many on the panel felt devolution of the power to the regions would enable policies better suited to local economies in post-Brexit UK. In particular, it was felt that, given the heterogeneity in the industrial composition of the regions that make up the UK, it is imperative to seek their views before any new trade deal or industrial strategy is finalised. Some on the panel voiced concerns about lack of engagement with central government to date to discuss the regions’ trade and industrial policy needs. Some felt that elected mayors might be able to better negotiate with the central government, and that they would also be helped by access to greater financial resources. However, it was also felt that regions would have to cooperate – for example, within the framework for the Northern Powerhouse – rather than compete for resources within a zero-sum bidding framework. Paucity of time left some issues undiscussed. In particular, future discussions would have to reflect on whether effective devolution of economic power to the regions requires that they be given the power to borrow to invest in physical and human capital. This, in turn, would require a discussion about the financial infrastructure, such as a “muni” bond market, to facilitate such borrowing. Issues such as these, as well as discussion of policies formulated by the individual regions, are expected to be part of ongoing discussions involving the stakeholders represented at the workshop. This entry was posted on Friday, June 9th, 2017 at 08:00	and is filed under Comment, Research. You can follow any responses to this entry through the RSS 2.0 feed. Both comments and pings are currently closed.